We study vision, eye and body movements in healthy adults, athletes and patients with sensorimotor deficits. 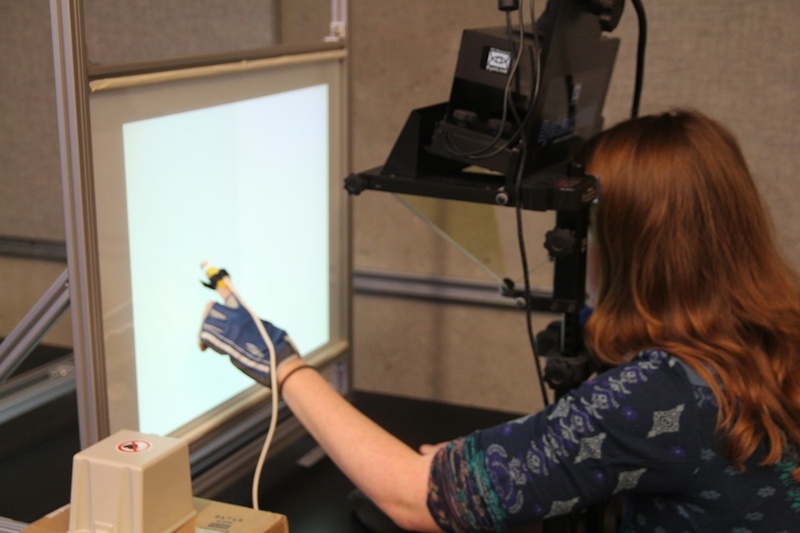 Our research focuses on the visual signals that drive eye movements, on the relation between perception and eye movements, and on eye-hand coordination. The lab features a series of state-of-the-art eye trackers with different tracking capabilities, such as a binocular dual-Purkinje image eye tracker, two Eyelink 1000 eye trackers, a Chronos ETD, which we use to assess torsion, and the new SMI 120-Hz eye glasses. Visual perception and eye movements are considered to be tightly linked. Diverse fields, ranging from developmental psychology to computer science, utilize eye tracking to measure visual perception. However, some of the studies from our laboratory have challenged this view. We have provided evidence for dissociations between the contents of perceptual awareness and different types of eye movement, particularly smooth pursuit eye movements, revealing situations in which pursuit is sensitive to particular visual features that fail to modulate perceptual reports. Some of our past research has shown that tracking a moving object with the eyes enhances the ability to predict the trajectory of this object, likely through the use of efference-copy information. We currently work with the UBC Baseball team to put these research findings into practice, testing and training athletes’ perception, eye and hand movements in various tasks. We are also interested in what happens when eye movements are impaired, for instance, in patients with schizophrenia or Parkinson’s disease. We have provided evidence for efference-copy failure in these patients. In collaboration with the UBC Baseball team we have developed a battery of vision and eye movement testing tools to assess the relation between basic visual function and baseball performance. 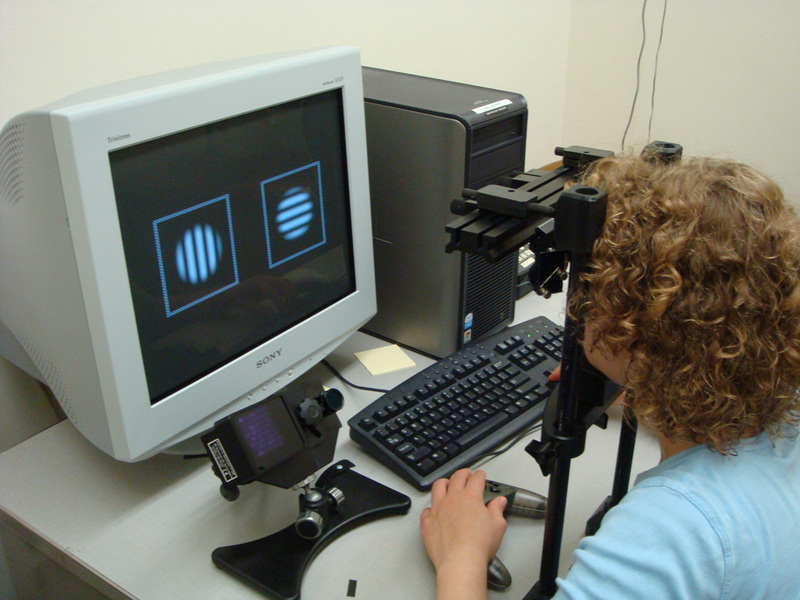 We use standard tests to assess visual acuity, stereovision, and contrast sensitivity and have developed our own tests for dynamic visual acuity, and motor performance (reaction time and accuracy) in eye and hand movements. Our research reveals striking relationships between visuomotor performance and baseball batting. 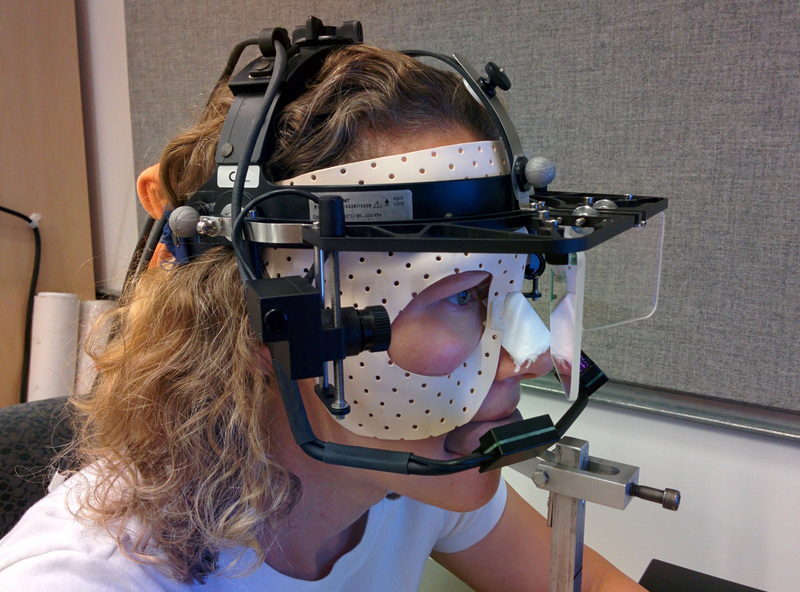 Our group currently collaborates with UBC stroke neurologist Thalia Field on developing a bedside eye movement exam to aid in the diagnosis of cerebral small-vessel disease (cSVD), a neurodegenerative condition affecting the smallest blood vessels in the brain. cSVD is common and may present with strokes, cognitive impairment and dementia, or functional decline. We also investigate visual and oculomotor function in patients with Parkinson's disease, together with UBC neurologist Martin McKeown. Most recently, we have started looking at ways to improve eye and hand movements through perceptual learning, and we are particularly interested in promoting transfer in healthy adults and patients with sensorimotor deficits. Lalonde, Fooken & Spering M. (2015) Poster presented at the 9th Annual Canadian Association for Neuroscience Meeting, Satellite symposium 1, Vancouver, Canada. Some of Miriam’s PhD work as well as some recent studies in the lab fall into this category. We currently investigate the visual properties that trigger and drive torsional pursuit eye movements – pursuit in response to translating and rotating visual patterns. In 2001, when Miriam was an undergraduate student at Heidelberg University, she wrote a paper for the Boston Consulting Group, entitled "Current issues in cross-cultural psychology: research topics, applications, and perspectives". Somehow, this paper has found its way into the www and has been cited quite frequently. Here is a [pdf] for download; please cite it as Spering, M. (2001). Current issues in cross-cultural psychology: research topics, applications, and perspectives. Unpublished manuscript, obtained from http://visualcognition.ca/spering/research.html, [enter date downloaded].